Made with Metallic Gold thread visor. 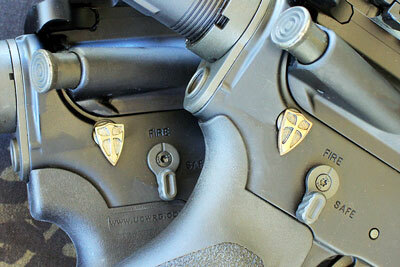 Our Crusader design was made in appreciation and honor of our friends at Steel Flame. 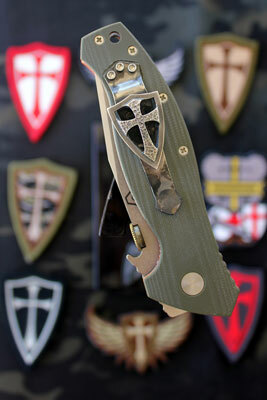 Steel Flame makes awesome Crusader inspired Knife Clips, Tactical Accessories and Jewelry. Embroidered, Velcro backed morale patch. Measures approx: 2.3" Wide x 3" Tall. Items are located and ship from the USA. As usual from Orca Industries. A super cute Kuma Korps patch in top quality!